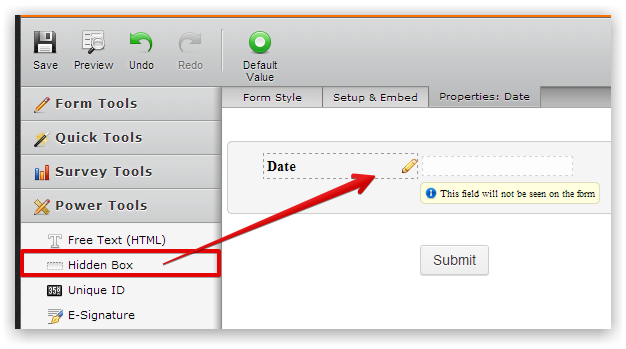 Here's how to get user's date/time without using date/time tool in your form. 1. Add a hidden field to your form. This is where the user's date/time will be prepopulated. 4. Notice the highlighted input_3 in blue color on this script, this is the field ID of the hidden field. You can find that out in your form source code. Hidden fields are placed mostly on the last part of your form source code just above the ending </form> tag. You can easily find it since it has type="hidden" in the attribute. Now, simply replace input_3 with your hidden field ID. 5. Save your html form and make a test! Feel free to let us know if you have further questions. Thanks! WOW, I would NEVER have figured out that code on my own; so thank you!!!! But, sigh, I did as you said, but I must've done something wrong! Now, no date/time appears on any of the email notifications. At first, by mistake, I copied & pasted your code AS IS, and the date/time appeared in the Name field (which is ID/Input 3) -- so I know that the code does what it is meant to do. I just don't know why it isn't working in the DateNTime field. When using the form's source code, everytime you modify the form in the form builder, you will have to update also the source code of the form. So, if you made chages to the test form in the form builder, you will have to gather again its source code, so that it is updated. Can you please share to us the URL of your website where you have applied this form. We will check further. were you able to grab full source code again (from our form builder) and pasted it into the webpage, once you applied the recommend changes? I input the above orange code AS IS in my form's Inject Custom CSS box, except for changing the field ID to 20--as I indicated earlier. I also input it in the Google gadget box on my website. Where do I save it? As I said in my last post, I saved it (input it) in my form's Inject Custom CSS box. If it does not belong there, then where? Sorry for not clarifying it well. The step 5 simply means you have to save the form script as .html file e.g. form.html or if you prefer to embed the entire script directly to your page, that's fine. Now, I checked the embedded form script in your page and it seems the date/time script is marked as comments, this is the reason why it's not working. Google seems to be filtering the new lines (carriage return) in the embedded script and carried the script in line with these comments that's why they aren't working. 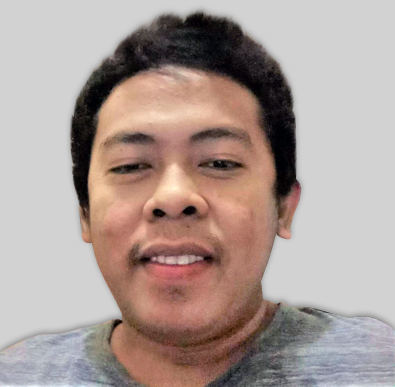 Re-embed the entire script again to your page and that should solved it. Let us know if you come across any issues. Thanks! I am sorry, but I am totally and utterly confused! to my My Documents folder? to my Jotform form? If so, in the Inject CSS Preferences box? Ex: "delete the embedded script in your page" -- By "page", do you mean delete something from my website, or delete something from my Jotform form? And, do you mean that I should delete the purple code text that was showing in my last post--which, for some reason, is now gone. Since I do not know what I am supposed to do, and since it seems impossible to relay it to me in an exact manner, I will just leave my form as is. Delete the existing source code (form source code + date/time script) embedded in your google site. If I'm correct, that is in your embed gadget. Or, you can replace the source code with the updated one instead of deleting it. Sorry, I have removed it since it's making the thread long and there's no use for it. 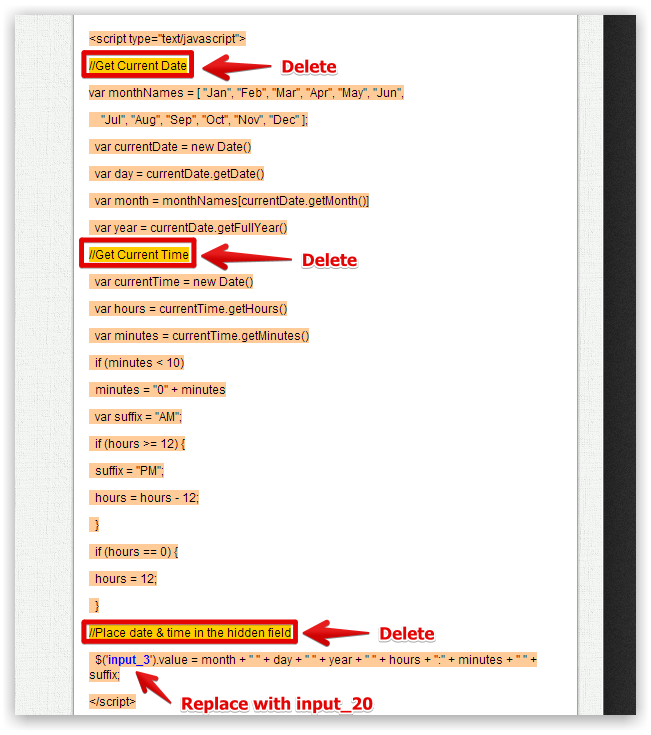 What I mean on this part is to delete the comments section of the date/time script provided avoid. 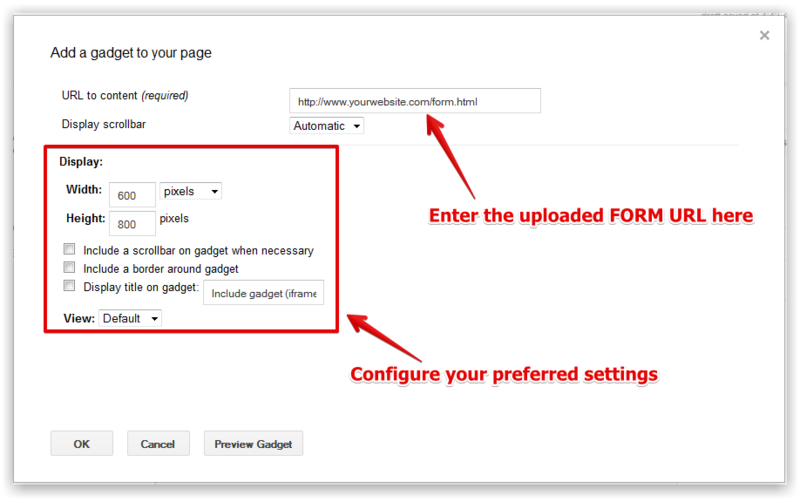 After doing this, embed the entire source code (form source code with the date/time script appended) in your google embed gadget. I hope this clears now. Thank you! You still have date/time calendar field in your form that was hidden via CSS Injection. That's the reason why you see dates like 07-07-2013. Ok, I just checked your embedded form and you are using iframe embed code, that's another reason why the date/time script isn't working. 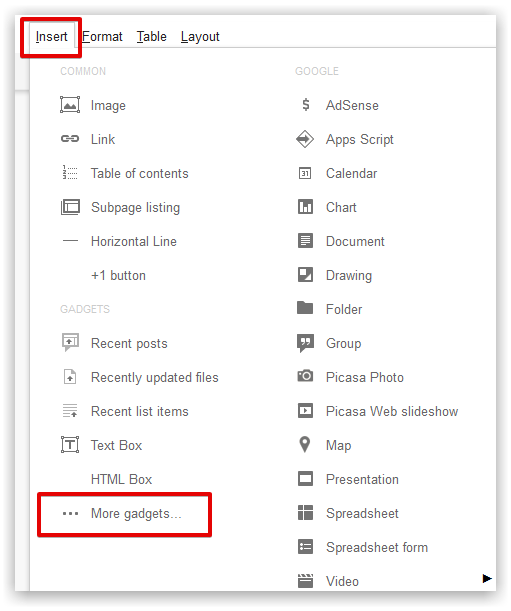 Note that the script works fine, it was just a problem on embedding and some limitations on Google Sites. I've found out that Google Sites is stripping script codes that's why it is not possible to embed form using source code. You need to use iframe method if you still want to go this route. Ok, to make things easier, I have here the form.html. This is your form source code with the date/time script. Do the following if you want to embed this to your page. 1. Download this zip file and extract it. You should be able to see the file form.html. This is your form with the date/time script, I have created it for your convenience. 2. Upload this file to your server or to any free hosting sites like http://www.awardspace.com/. You can't upload that to your Google Site, that is not possible. 3. 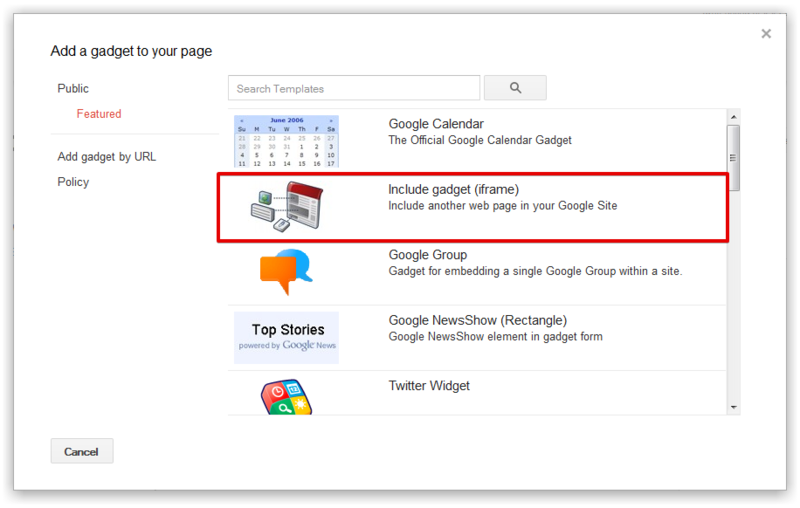 Add iframe gadget to your Google Site. Enter the uploaded form.html URL. Hope this works now. Thanks! As I said earlier, I've spent too much time on this, and so I have decided to just move on. I know that you created a html file and suggested that I download it, then upload it, then embed it, but my head is spinning! This should be a very simple change to make, not one that takes many days and many attempts. So I will settle for it the way it is--in numeric form. So thanks anyway; I appreciate your time! p.s. FYI, there is no downloadable zip file here. p.p.s. I like YOUR demo! Too bad it's not mine! By the way, if there is ever an easy way to make this simple type of change (from 07 to July) [like simply injecting a simple CSS code; and not downloading, uploading, unzipping, hositng, embedding, etc. ], I would be interested in knowing; until then, that's all for now. Thanks.